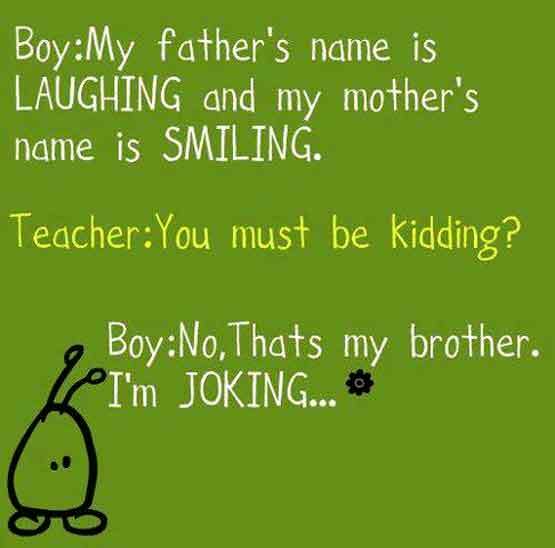 Boy: My father's name is LAUGHING and my mother's name is SMILING. Teacher: Your must be KIDDING. Boy: No that is my brother. I'm JOKING.